Little OH! 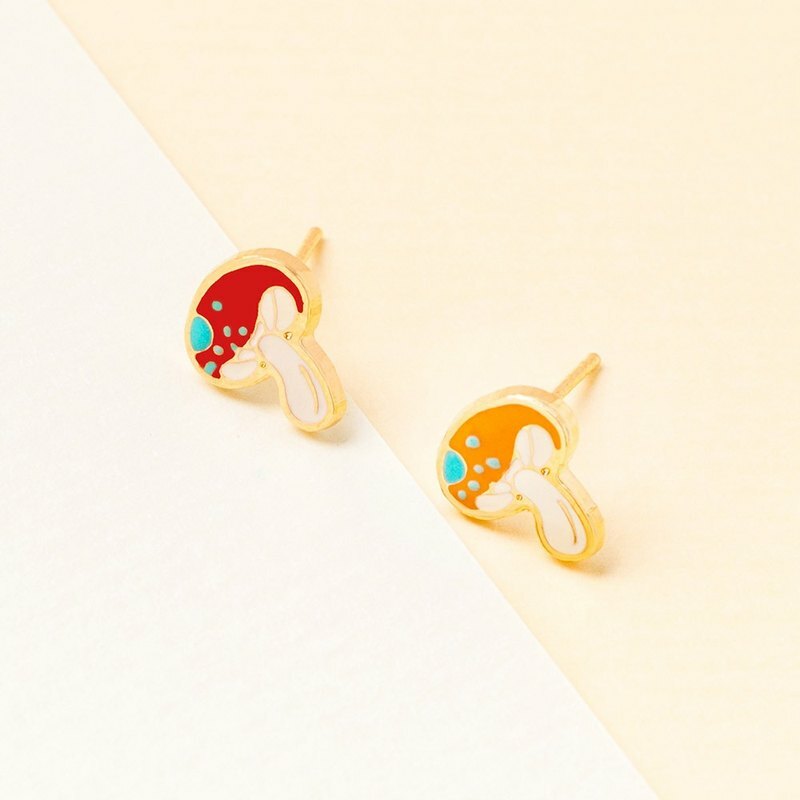 x Lady F hand painted greenhouses Taiwan Illustration X Handmade Earrings Like planting on the earlobe Must open the hair to find Little mini mini A straw mushroom that hides in the grass and can only be seen https://c1.staticflickr.com/5/4293/35994166081_73b8a83cc6_b.jpg ----------------- There are other styles! ! ! https://c1.staticflickr.com/5/4014/35443402122_f04ef6a503_b.jpg https://c1.staticflickr.com/5/4312/35736088930_ccd538454c_b.jpg Want to see more Lady F hand painted greenhouse design: https://www.pinkoi.com/store/ladyf05 | Product Contents | About 1 cm in size Quantity: One pair (two) Style: Blue Dot / Tangerine | Attention | 📌 Please understand that handmade jewelry will not be 100% perfect. The amount of hand-made goods is limited, please be considerate that there may be no spot situation 📌 If metal parts are scratched on metal parts, it is normal 📌 珐琅 Use toothpicks to color and color by hand, it is possible that the same design will have a slight color difference | Maintenance | 材质 The material is plated with 24 pure K gold, which is not easy to produce allergies. Because each human body is different, the reaction to the material is different! 📌In order to maintain a bright color, when you go to a special environment (Ex : swimming, seaside, hot springs), please take off 📌 Avoid contact with chemicals (Ex : Perfume) 📌 When not wearing, please seal it to the clip bag to avoid contact with the air and maintain the color 配 After wearing, rinse gently with clean water, wipe dry with a dry cloth, dry naturally, and put it in the bag after sealing. 请勿 Do not wipe with silver polishing cloth, it may damage the surface gold plating | Returns | 📌 earrings are health products do not accept returns 📌Refund and exchange of other goods need to bear the freight | Others | 📌 Provide a small number of universal card service (in 20 words) 📌 If you have a special gift date, you can tell us that we will try our best to cooperate with you. We will inform you if it is too late to complete the production :) 📌 📌 📌 📌 📌 📌 📌 📌 📌 📌 📌 📌 📌 📌 📌 📌 📌 📌 📌 📌 📌 📌 📌 📌 📌 📌 📌 📌 📌 📌 📌 📌 📌 📌 📌 📌 📌 📌 📌 📌 📌 📌 📌 📌 📌 📌 📌 📌 📌 📌 📌 📌 📌 📌 📌 📌 📌 📌 📌 📌 📌 📌 📌 📌 📌 📌 📌 📌 Little OH! "Little surprise" This is the warmth that I love to enjoy after traveling and returning to Taiwan. https://c1.staticflickr.com/5/4545/24746706928_eaf33c9ff5_o.jpg Free silicone clips https://c1.staticflickr.com/5/4723/26550746128_74f16beae6_b.jpg https://c1.staticflickr.com/5/4698/39707433784_36367eb42a_o.jpg Little OH! Handmade unique pieces. Taiwan designer Origin / manufacturing methods TAIWAN DESIGN. BKK HANDMADE.